If shrimp is frozen, thaw in a colander in refrigerator. In a large frying pan, heat Pineapple Tamarind marinade over medium heat. Add shrimp and cook for a few minutes until pink and just cooked (warm shrimp for only 2 minutes if pre-cooked). Turn off heat. 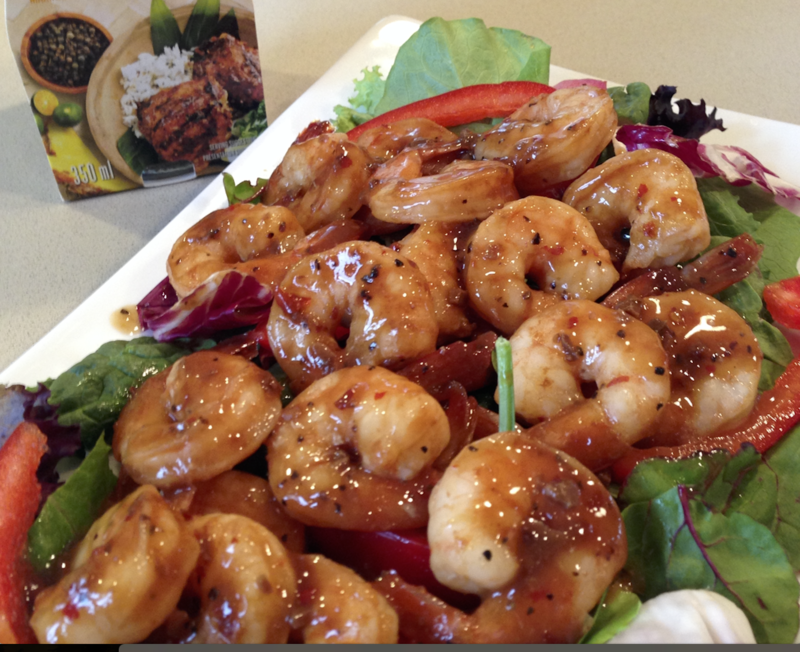 Prepare salad and add warm shrimp on top. Add vinegar to frying pan and stir to mix with remaining marinade. Drizzle on top of salad to dress, and serve immediately.